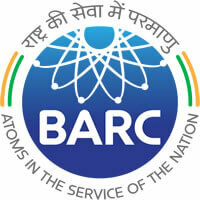 BARC Recruitment 2019 – Bhabha Atomic Research Centre (BARC) announced notifications for the post of Scientific Assistant-B on Locum/Adhoc Basis. The detailed eligibility and application process are given below. Note: Some experience in the relevant field is preferable but not essential. The selection process will be based on the performance of Walk-in-Interview. How to apply for BARC Recruitment 2019 for Scientific Asst? All interested and eligible candidates can attend walk-in-interview along with required documents at the following venue on 11 April 2019. Candidates should bring their original certificates of educational qualification and experience, one set of attested copies of certificates and one passport size photograph. Candidates selected will have to obtain Medical certificate from a Registered Medical Practitioner and also Police Verification Certificate.